Wishing to expand your business globally? Looking for additional international buyers for your products/services? Or diversifying your worldwide purchasing sources? If yes, then be happy about you have the reached the right spot. We at indiarubberdirectory.com the B2B e-marketplace will provide you best opportunities with the power of the Internet Technology to get more trade leads and profits. When you register your company on our portal, we instantly flash your company to the global trading community! You can reach to potential audience from around the world within a short span of time. 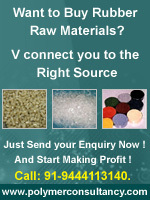 Indiarubberdirectory.com is a leading e-market for Indian manufacturers and worldwide rubber community. We are constantly promoting our portal in over 120 countries around the world and we are also successfully positioning our portal on major search engines like google, yahoo, msn, altavista, metacrawler etc.., to expand our registered users business. Become our members today to win everyday! Free links to your existing company website and free Biz page on indiarubberdirectory.com for easy access to buyers. Access to all indiarubberdirectory.com services. As we know banner ads is the most powerful tool to flash your presence to the target audience of the rubber industry. You can promote your company / services at a most competitive price. We assure solid enquiry for all of our customers. Various plans are available to meet your expectations. Mail us for details. The following are the Benefinary people, who can develop their business by becoming a member of Indiarubberdirectory.com and utilize the advertisement concepts . and other products / services based company relevant to rubber industry can utilize the IRD effectively. We have a team of experienced and innovative web designers to provide quality web design and search engine marketing services to meet your online goal and to expand your business electronically. To get the Premium Listing on www.indiarubberdirectory.com, you have to make DRAFT / CHEQUE in favour of "TEAM WEB POWER" payable at CHENNAI, INDIA and send to the below address.